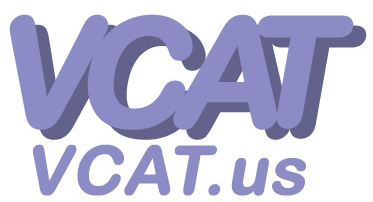 Thank you for your interest in VCAT. If you need additional information, don't hesitate to contact us. 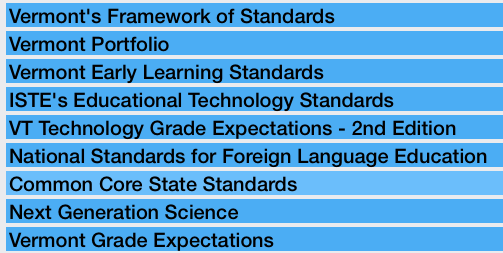 The Vermont Comprehensive Assessment Tool (VCAT) is a powerful web-based system which enables teachers and administrators to plan, administer, and assess student learning based specifically on a district’s curriculum, the Vermont Standards, and the new Common Core Standards. This easy to use and intuitive suite offers the tools necessary to support and enhance data-driven decision making. It is used with about 28,000 Vermont Students. • Developed in Vermont to meet the needs of Vermont schools. 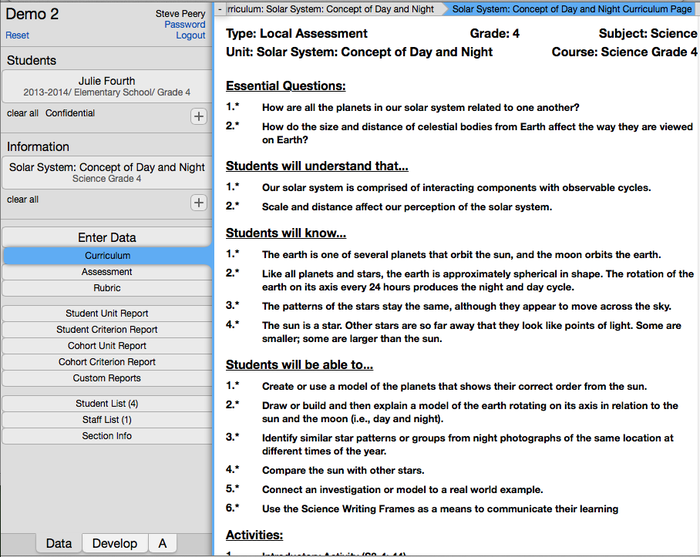 • Allows you to deliver your district curriculum to your teachers over the web. 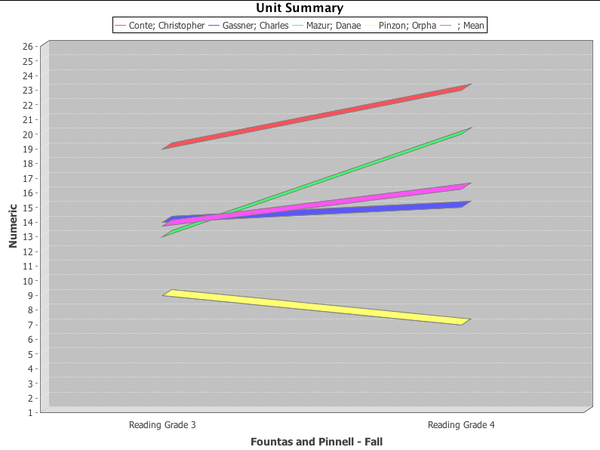 • Teachers assess students using your rubrics. Results are stored directly in your database. • Incorporates data from SBAC, NECAP, DRA, Fountas & Pinnell, PNOA, and other standardized tests. 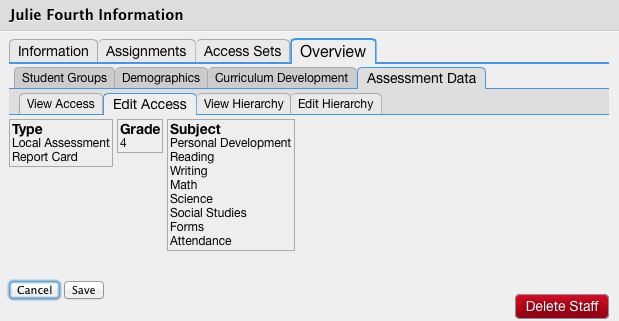 • Allows you to keep track of student demographic data like Gender, IEP, Race, and SES. • Performance reports are available directly from the system. • All Vermont Standards, Vermont Grade Expectations, Common Core Standards, and Next Generation Science Standards are included in the system. • Access control system limits access to appropriate data. • Highly secure system uses Unix, SQL, Java and other enterprise-level technology. • Works with any web browser. No special software or hardware required. • Standard web interface is quick and easy to learn. • Costs just $7.00 per student per year. Includes training and support for primary technical and curriculum personnel. • Teachers have access to district curriculum. 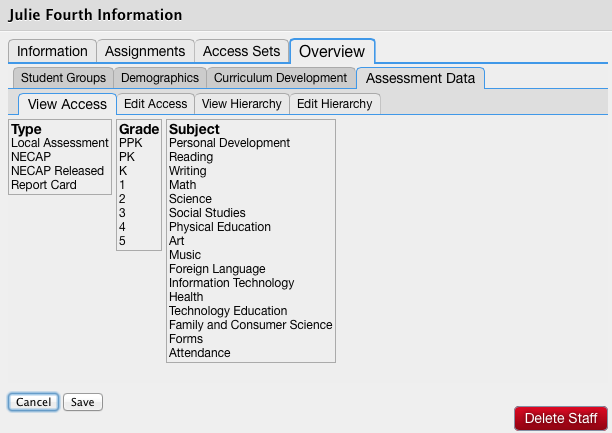 • District development personnel can enter curriculum directly into the system. 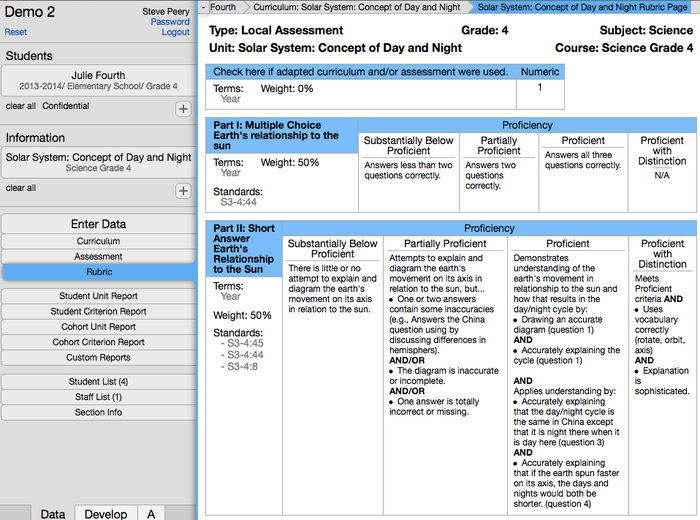 • Scoring rubrics can be easily created and linked to standards and your curriculum. • Supports on-going development and modification of curriculum. • Teachers can view information about the curriculum and the assessment. 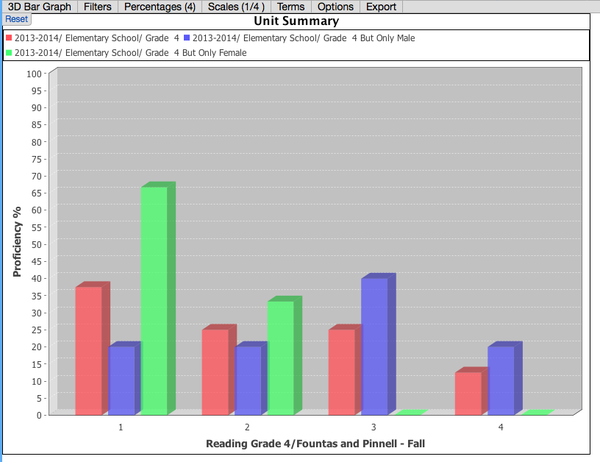 • Teachers use rubrics to enter assessment scores for their students directly into the system. • All assessments include verifying information on the person entering the scores to insure complete integrity of the data. • Web-based system allows access directly from any computer with internet access. 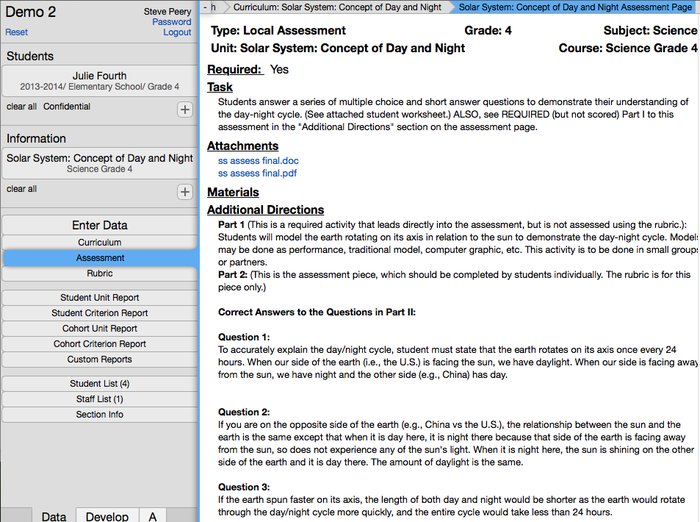 • Rubrics are designed and entered directly in VCAT. • Every district has a unique database and full access to the raw data. • Secure password-protected system insures confidentiality. • Extensive access-control system limits staff to appropriate areas and data. • Includes centralized storage of all assessment data. • The system limits access to data. 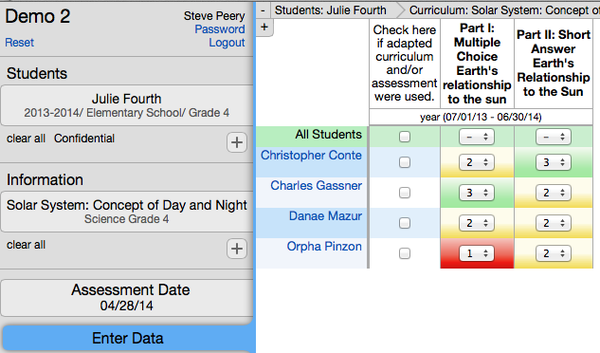 • Teachers and administrators can generate dynamic reports to support data-driven decision making. • Report data is always up to date. • Data may be exported for use in spreadsheets. • Users may generate a variety of reports. See some samples below. • Custom reports can be developed and created to better meet your needs. • All data is stored in industry-standard SQL databases. • Built with Unix, SQL, Java and other enterprise-level technology. • Servers are Unix based with SSL encryption. • Servers are located in a secure Vermont data center. • Support includes training and techinical support for primary technical and curriculum personnel. • Designed and built in Vermont to meet the needs of Vermont schools. • Comprehensive web-based help system backed up by on-site, telephone and email support. • Standards are fully integrated. See list below. • Rubrics link directly to one or more standards. • You can access the list of VCAT users and information for specific School Districts and Supervisory Unions by clicking on Current Users. • If support is needed, contact VCAT Support. This page was last modified on 6 February 2019, at 18:53. This page has been accessed 120,201 times.